← Old Style Appliances Making a Comeback? 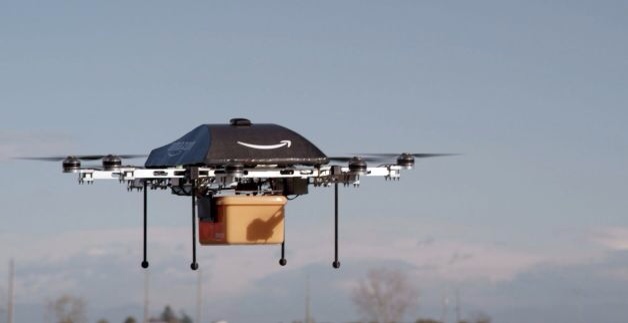 Amazon.com's recent announcement that it is working on a long-range plan to deliver packages by drone was upstaged Monday by the Supreme Court. In this instance, the court did not deliver a momentous decision. The Supreme Court simply declined to review a lower court's decision allowing states to require Amazon.com and others to collect and remit sales taxes for purchases made remotely, online or otherwise, even if they have no physical presence in the state. The decision leaves states free to pass legislation requiring out of state internet vendors to collect state sales tax. Amazon.com has already cut deals with 16 states to collect sales tax, and surely more states will want to find a way to get Amazon.com to collect taxes on their behalf as well. The Supreme Court's refusal to get involved likely means that the entire matter will wind up in the hands of Congress….oh, dear! Though the Marketplace Fairness Act has been passed by the Senate, the measure is now stuck in the House of Representatives where it will presumably stay indefinitely. At issue is an estimated $23 billion that states are losing each year from out-of-state internet merchants who do not collect state sales taxes. As internet sales continue to get a bigger piece of the retail pie, states will either need strong internet sales tax laws, or they will certainly suffer from declining sales tax revenue – unless of course Congress takes action. What do you think the chances are? This entry was posted in Business and tagged Amazon, Amazon.com, Congress, internet, online, retail, retailing, sales, sales tax, Supreme Court. Bookmark the permalink. The 23B number was already disproven. The people from UofT who did the study calculated that ALL online sales were not taxed, but like idiots didn’t realize that MOST online sales are actually made by big boxes that collect the tax because they have physical presence in all states. According to James Gilmore III, the former Chairman of the Congressional Advisory Commission on Electronic Commerce, 83 percent of online sales are made by big box retailers, and, therefore, collecting tax. Moreover, the remaining 17 percent of those online sales (less than 1 percent of total retail sales) are taxed through state use taxes, but the states usually choose to not collect them. Would be good to get that mistruth corrected everywhere, but the MFA proponents have kept it going around even though it was debunked. The truth is that it’s more like $4B, which isn’t nothing, but when the AAA-CPA study showed the compliance cost of the law to also be over $4B, we’re talking about a net-negative bill. Thanks for the comments, Bob. However, just because a retailer has a physical presence doesn’t mean it collects taxes on online sales. Amazon.com has had a physical presence in Arizona for years but just recently began collecting sales tax after threats of legal action. And even if your $4B figure and “net-negative” claims are correct*, it won’t be net-negative for long. Online sales continue to grow as % of the pie. We really should be talking about the equity factor here as well. Some retailers are required to collect sales tax in 45 of our 50 states and others are not. Good discussion, though. *Does the net-negative claim refer to just the first year or the annual cost of compliance? Also, it’s not just a matter of total cost, it’s a matter of WHO is bearing the cost. So the states lose $4B a year in revenue which is offset by the $4B cost of compliance? The states are still out $4B that they would have had if the sales tax had been collected. That $4B is needed for roads, schools, law enforcement, etc.